When you first contract Samson HealthCare Services as your washroom hygiene solution provider a thorough descale cleaning is first required to sanitise areas previously untreated. This service, conducted by our qualified technician, will improve the standard of your urinal hygiene and the smell of your washroom. The Urinal Sanitizer has a self-cleaning effect by introducing a specially formulated solution dosed with every flush. The solution is released into the water to help combat scale build up with every flush. The liquid from the urinal sanitising system will cover the surfaces of the bowl or urinal and inhibits bacteria growth while adding a pleasant fragrance. The installation of a sani sleeve to reduce the amount of water needed to keep the Urinal free of unpleasant smells. 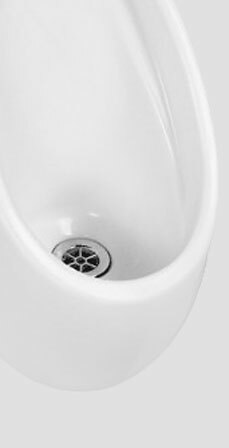 As the urinal sanitiser system protects only those areas touched by the treated flush water, it is necessary to thoroughly clean the rest of the area on a regular basis. Samson HealthCare Services hygiene solutions will provide you with an on-going urinal hygiene treatment programme to ensure your urinal surfaces are regularly sanitised.